The program management plan is an easy-to-edit PowerPoint template. It was designed for program managers who need to communicate plans to sponsors and executives in a clear and professional way. 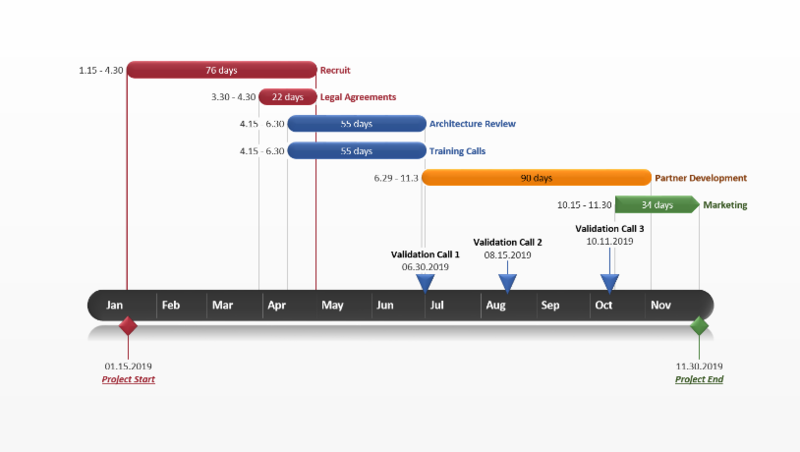 It provides high-level visibility of project requirements, resources and risks and it can also be used as a planning tool that summarizes project timelines. Program managers oversee all the projects in a program. To do this well they need to communicate plans and project status to stakeholders. Since program managers have oversight of many projects, their communications to stakeholders and executives must be done at a high level. Having a clearly illustrated program management plan is critical for managing and orchestrating the dependencies of multiple projects simultaneously. Program managers operate best by keeping the objectives of their program visible at all times. 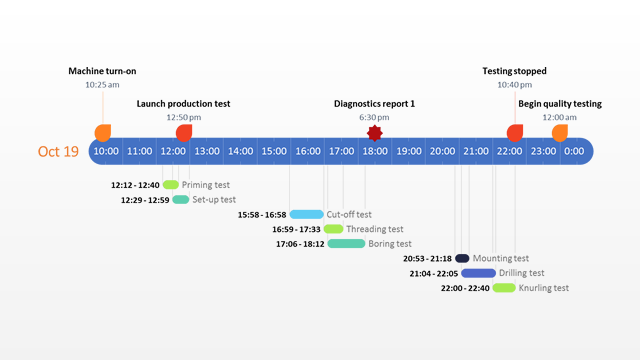 The program management plan was created to provide a fresh visual that project managers or the project management office (PMO) may not typically see. The slide can easily be presented to stakeholders and quickly updated throughout the course of a program. This program management plan template is a native PowerPoint slide. Once downloaded it can be edited manually by anyone who has Microsoft PowerPoint. Teams can collaborate on the plan and management can include it in their executive presentations or monthly scorecards. 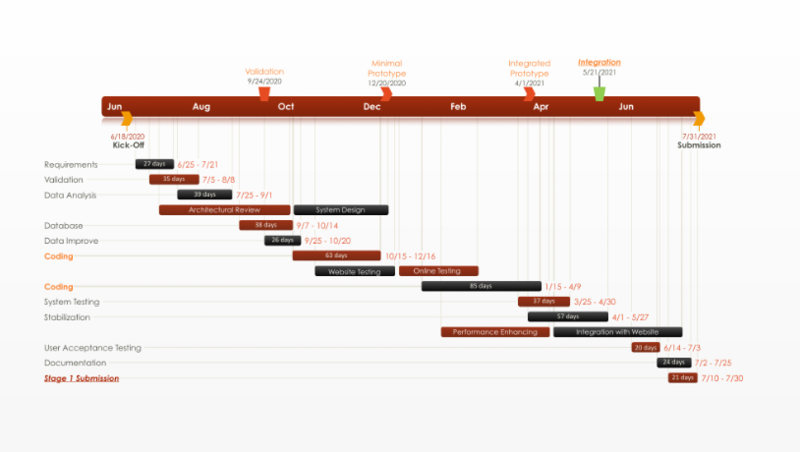 The program management template was built to work with the Office Timeline plug-in for PowerPoint. 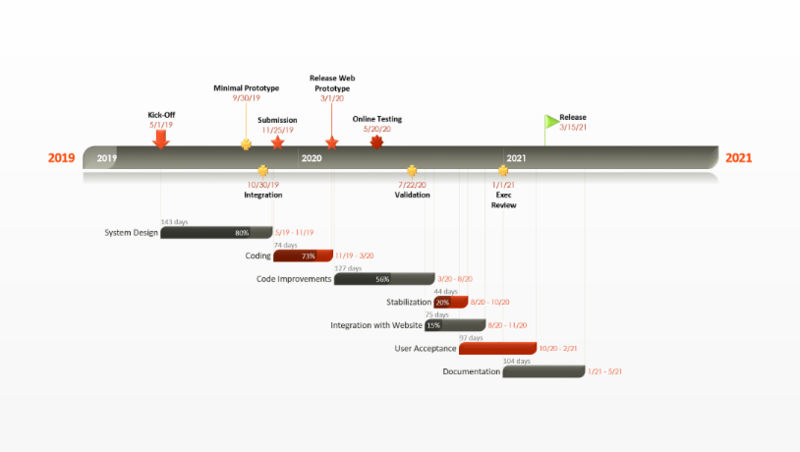 Office Timeline is a PowerPoint tool that creates plans and visuals for important communications. 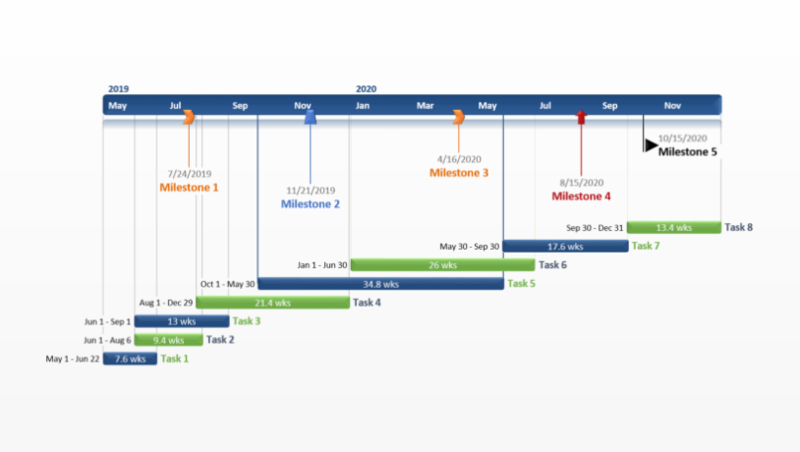 Since program managers are also responsible for a continual assessment of their program’s progress and responsible for providing progress reports to stakeholders, they can use Office Timeline to update the template. The plug-in will quickly revise the template which means a single slide can be repurposed multiples times instead of having to create a new one each time.